I speak to you today with a powerful and united mandate from 341,150 metalworkers. They made their views extremely clear in our workers’ parliament in December last year – the parliament we called the NUMSA Special National Congress. In that parliament there was vigorous debate. Every delegate knew that they would have to account to their constituency. We are justifiably proud of our democratic heritage. We know that what we decide has the backing of our members. We don’t have to change decisions after the Congress has spoken, as some do, even though there are those who would urge us to “come to our senses” and take NUMSA in another direction from the decisions of that Congress. And we are also justifiably proud of our militant heritage. Our union, right back from its beginning, has taken the side of the working-class and the poor. We have always been a union that champions shop-floor struggles as well as the struggles of working-class communities. We have always understood that workers come from communities and live in communities. Community struggles are workers’ struggles. So, as metalworkers we fight for policies and strategies that will create jobs. We want more working people from our communities to have jobs. We fight for water. We fight for houses. We fight for the safety of our communities. We fight against a police force which kills our people when they protest because they don’t have water. Because they don’t have houses.We are also a union that has been in the trenches with revolutionary forces within the liberation alliance led by the ANC (African National Congress) and SACP (South African Communist Party). Yet when we speak out clearly in defence of the working-class and the poor, our allies attack us. They call us oppositionists because we reject the policies of the ANC and SACP which attack the interests of our members. They call us ultra-leftists suffering from infantile disorders because we refuse to betray the interests of the working-class and support an ANC and SACP whose leadership has consistently attacked the working-class. We are not just talking about labour brokers. We are not just talking about e-tolls. We are talking about an ANC and SACP leadership which has clearly and unequivocally taken sides with international capital against us. There is no other way to look at it. The examples stare us in the face. At Marikana, the armed forces of the state mowed down workers who were demanding a living wage from an international mining company, Lonmin. The same happened during the farmworkers strike in the Western Cape. The same is happening now in Mothuthlung and Sebokeng and other communities across the country too numerous to count. Our people are protesting because they have no water – that most basic of necessities. And the State… that very same state which failed to supply them with water… kills them for their protest. Underneath all of this is a harsh material fact. The South African economy has not fundamentally changed. The structure remains the same as it was under apartheid… the same dependence on exporting raw minerals, the same enslavement to the Minerals Energy Finance complex. Far from an increase in the manufacturing sector – the sector which can really produce jobs – we have a rapid process of deindustrialization. We are not gaining jobs, we are losing them. In 2004 there were 3.7 million unemployed people in our country. Last year that had risen to 4.1 million. More unemployed, not less. This will not stop until we fundamentally change direction. We, as a union, have understood that the ANC and SACP will not lead that change. It is the ANC and SACP which gave us GEAR (Growth, Employment and Redistribution). It is the ANC and SACP which has given us the NDP (National Development Plan). It is the ANC and SACP which is investing in improving the rail lines to Richards Bay so that more of our minerals can be exported. We know that the current leadership, the very same leadership that calls itself anti-imperialist, is in a lucrative alliance with international capital. It has accepted its shares in the mining industry, but those shares were not given for nothing. They had a price, and the price is being paid by the working-class and the poor of our country. The price is a macro-economic strategy which focuses on maintaining profit, not jobs. This fact cannot be changed by a fig leaf called the Employment Tax Incentive Act. A fig leaf which claims to be about creating jobs whilst actually it is yet another attack on the working-class. I want to say this very clearly and very straightforwardly. There is only one way to create the number of jobs that are needed in South Africa – the number the NDP dreams about. That is to harness the profits of the mining and financial sectors and use them to build manufacturing industry. That is why we call for the nationalization of the mines and the financial sector. It is not some dogma from the past. It is an immediate and urgent requirement to save our nation. The Star newspaper last week said “A Nation burns.” That headline said more than it knew. It is the nation that is burning. It is burning because it is being ruthlessly looted by international capital. For the investors in London and New York and Berlin, South Africa is just another possible investment destination. They don’t care about the working-class and the poor of South Africa and we don’t expect them to. But now our political leadership has aligned itself with the global looters. Our political leadership is no longer able to represent the nation because it has a conflict of interest. Its real, material interest in the profitability of the mining and financial sectors prevents it from looking after the interests of the nation. The interest of building our manufacturing industry. The leadership’s interest in the profits of global capital prevents them from being the leadership that the nation needs – the leadership that Hugo Chavez represented in Venezuela, for example, or that Evo Morales has represented in Bolivia. So, what is the state of the nation when it comes to policy and direction? They liberalized trade, allowing the dumping of production from China and elsewhere. This was part of the deindustrialization process – it caused massive destruction of jobs across the economy. Nearly 300,000 jobs lost in the manufacturing sector. They removed exchange controls, allowing money that should have been invested in productive industry in South Africa to leave the country. They championed the privatization of the state and the rise of the tenderpreneurs who replaced the functions of the state. The tenderpreneurs have got wealthy. The working-class and the poor have suffered. They pursued an approach of nodal development. The result has been a demarcation which clusters together pockets of poor municipalities. They have absolutely no revenue. Yet they are expected to deliver in the face of belt tightening that has been championed by the National Treasury. They have refused to impose export tax on our minerals or to ban exportation of scrap. One result was that we lost seven foundries which were closed. Many jobs have been lost. The Reserve Bank continues to target inflation instead of jobs. This supports the interests of finance capital. Despite the call in the Freedom Charter for a national minimum wage, the ANC government has allowed apartheid colonial wages to continue. So the super exploitation of black and African labour continues as an accumulation path for South African capitalism. Now the ANC says it promises to investigate a national minimum wage in the next 5 years! We don’t need long-winded investigation. We need immediate implementation. And what is the state of the nation for the majority of its people – the working-class and the poor? Now let’s look at who owns the nation. That must be part of any assessment of the state of the nation. The financial sector is dominated by four large privately owned banks (ABSA, Nedbank, FNB and Standard Bank). ABSA is 56% foreign owned. Standard Bank is at least 40% foreign owned. The Reserve Bank is privately owned. SASOL is about 30% foreign-owned and Arcelor-Mittal is 65% foreign owned. The pharmaceuticals sector is dominated by foreign-owned companies. Aspen, Adcock-Ingram, Sanofi, Pfizer, Norvatis, etc. all have significant foreign-ownership. Today these companies of international capital are blackmailing the nation. The minister accuses them of genocide and chemical warfare. As the working-class we have to ask: what happened to the 100% state-owned pharmaceutical company that might begin to be able to protect our national interest. The sale of 30% of Telkom to the Thintana Telecommunications consortium led to massive job losses in Telkom from 67,000 workers to 25,000 workers. The nation is poorer as a result. The construction sector is also monopolized and, dominated by four players: Murray & Roberts, WBHO, Aveng and Group 5 – all with foreign ownership. So the productive and wealth-producing forces of our nation are increasingly owned by global capital, not by South African capital. As a nation, we are increasingly required to dance to the music of global capital. That music plays a very sad tune for the working-class and the poor of our nation. So, what have ANC manifestos done for the nation? In 2004 the number of unemployed was 3.7 million. In 2013 it had risen to 4.1 million. In 2011 the number of social grant recipients had risen to 15.5 million. In 2011 this had increased to 52.3%. In 2011 that number had increased to 26.5 million. In 2012 the Department of Higher Education and Training’s Skills Demand List reports says that the skills shortage is now 1.7 million people. We have seen over the last week or two what disarray the NSFAS scheme is in. It is precisely the students from working-class and poor backgrounds who are prejudiced. As a result, enrolment in tertiary institutions still reflects our apartheid heritage. The 2009 manifesto also promised to phase in the National Health Insurance over the next five years. Here we are, at the end of those five years, and what do we have? A pilot scheme in 11 areas. I could go on, with more examples. But the message is already clear. There is very little correlation between ANC election manifestos and reality. So, what is NUMSA’s response to the state of our nation? 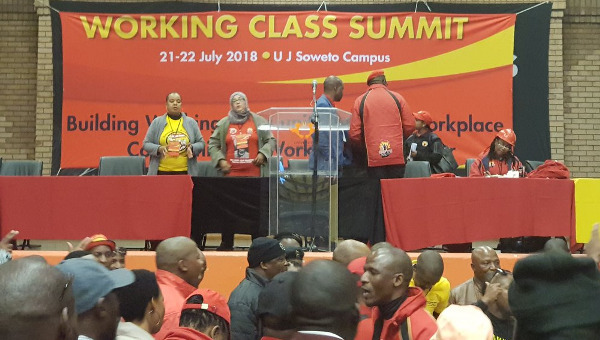 It was against this background that NUMSA’s Special National Congress debated and passed its ground-breaking resolutions. 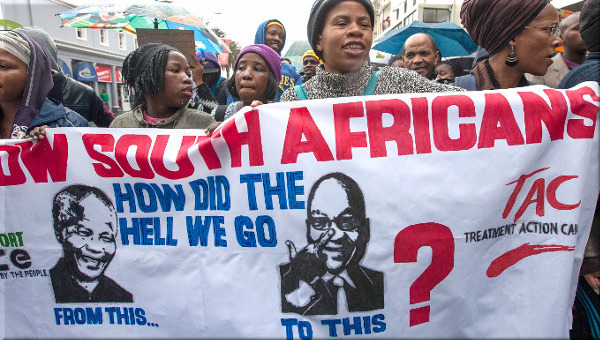 The Congress demanded accountability for the Marikana massacre right from the Minister and the National commissioner of police downwards, including all politicians who were involved. Those who were party to this massacre of workers must go. The Congress decided that NUMSA will not spend workers’ money on the ANC campaign and we will not, as a union, campaign for the ANC. I have already today given you enough explanation for that decision. 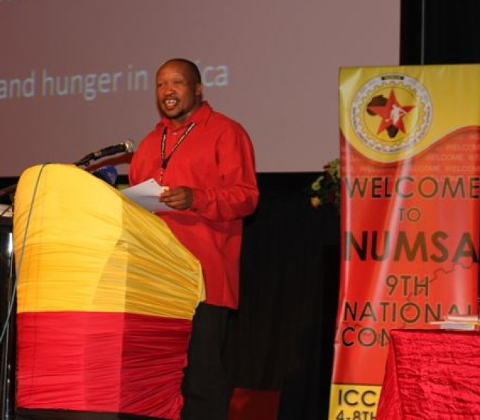 The Congress resolved that NUMSA will play a central role, as a catalyst, in the building of a united front. That United Front will take up the bread and butter issues of the working-class. It will link our struggles on the shop floor with our struggles in our communities. It will build an irresistible force for fundamental change. The Congress agreed to open the scope of our union to organize across value chains. This has been necessitated by the global restructuring of capitalism. 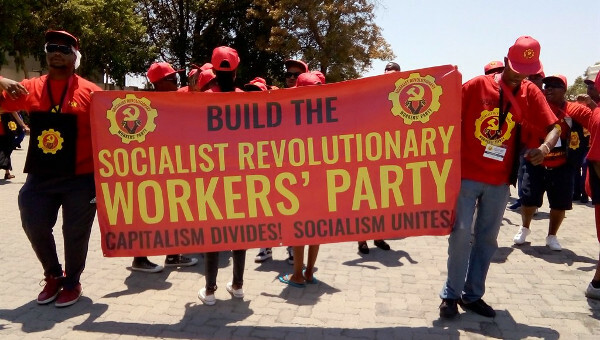 The Congress mandated the NUMSA leadership to study, research and investigate various forms of independent working-class parties and to serve as a catalyst to form a party. Such a party would contest elections at an appropriate time. This resolution came from the understanding that unless the working-class organizes itself as a class for itself, it will remain unrepresented and for ever toil behind the bourgeoisie. 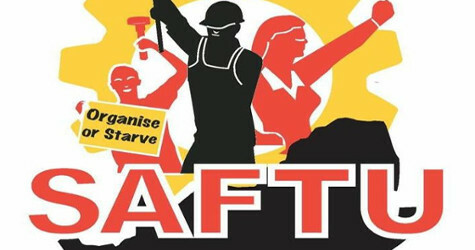 The Congress also called on the COSATU leadership to convene a COSATU Special Congress in line with the COSATU Constitution, with immediate effect. And it called on COSATU to break out of the alliance, which has failed to use the political power it secured in 1994 to take ownership and control of the national wealth of our country and replace the white racist colonial economy. Finally the Congress threw its weight behind the campaign of rolling mass action initiated by the NUMSA structures to demand fundamental change in the direction of the South African economy and society. Adopted by the NUMSA Special NEC on 15th September 2013, Issued publicly by: Irvin Jim, NUMSA General Secretary.